Mental health is just as important as our physical well-being. Click the following button to be connected to ACMH's collection of mental health resources. Sweetser School-Based clinicians collaborate with school personnel and families to reduce the barriers to school success that confront children and adolescents with emotional and behavioral challenges, or are at risk. Sweetser school-based clinicians are able to provide individual, family and group therapy in the natural setting of the school or at the child's home. There are two Sweetser clinicians at Massabesic Middle School. To make a Sweetser school-based counselor referral, please contact your child's guidance counselor at 247-6121 or call the Sweetser PromiseLine at 1-800-434-3000. *Sweetser School-Based Counseling information pulled from service brochure. Looking for a counselor for your family or for your child? 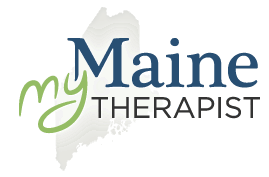 My Maine Therapist is a convenient way to search for a local counselor based on your personal preferences. You can search by treatment specialty (ADHD, Anxiety, Depression) counseling type, and insurance accepted. The site will then link you to profiles of local therapists fitting your criteria.